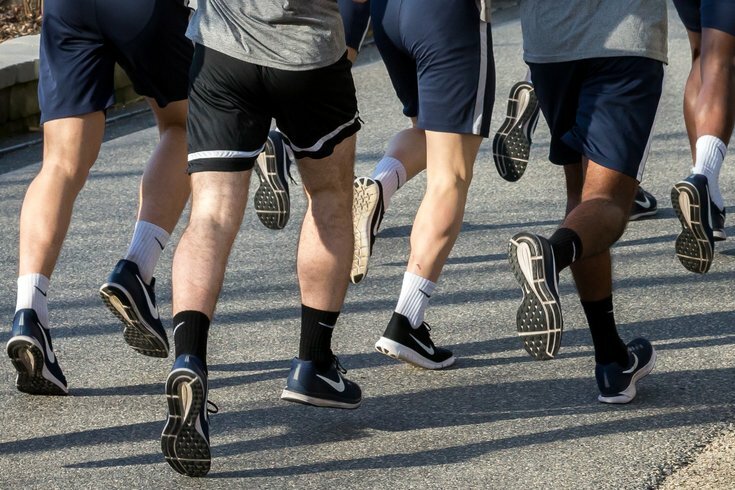 A group of men running together. Registration recently opened for The Philly 10K, and you'll want to act fast if you plan on running in it. The popular summer race is limited to 5,000 runners. It costs $64 to sign up, with a $5 processing fee. After securing a spot at the starting line, you can look forward to a 6.2-mile run and a big post-race party. The race is a slice of authentic South Philly and Center City, passing through two of Philadelphia’s most vibrant corridors (13th Street + East Passyunk) and past one of its most historic (Italian Market), along with 76 city blocks that most of us have walked, shopped, biked, BBQ’d, slept, or given tearful high fives and hugs after an Eagles Super Bowl victory on. Maybe reminiscing about the night the Eagles beat the Patriots will help you set a PR. After finishing the race, all participants are invited to a South Philly block party, where a specialty Shake Shack frozen custard featuring Federal Donuts awaits each runner.